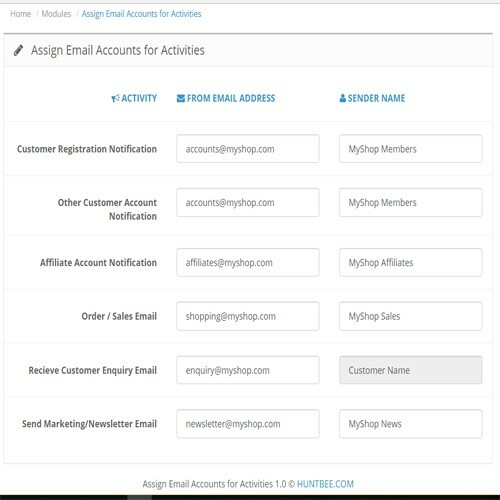 By default in OpenCart you can set up only one email address for all activities such as sending customer emails, order email, newsletters, etc. 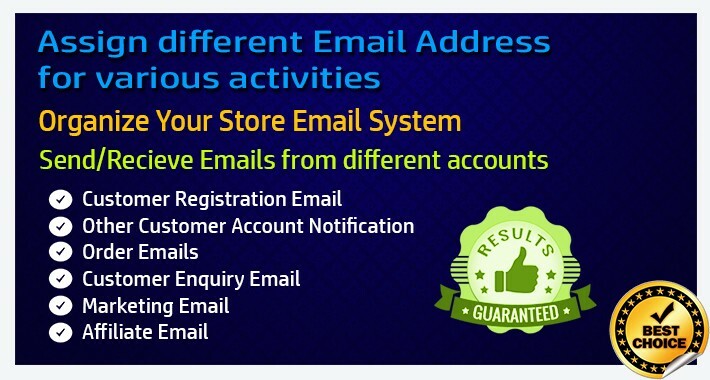 With this module, you can set up different email account for different task or activities. You can send order emails from one email account and send newsletter from another email account and so on. Also you can receive customer enquiry to one particular email account.